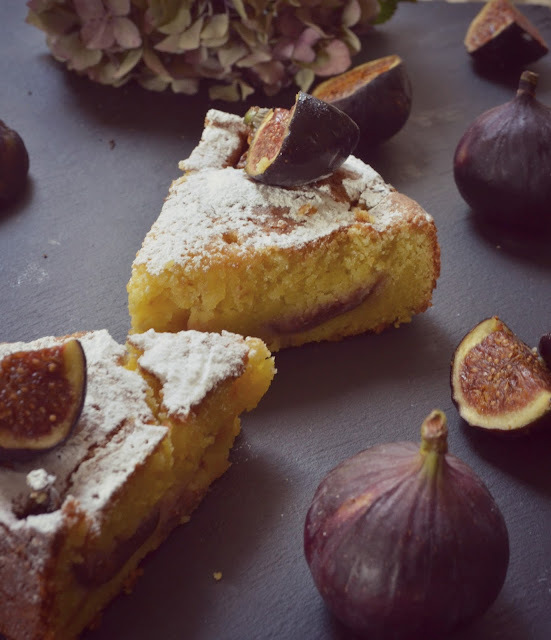 The fig season is very short and I always try to make the most of it, since I am a big fig fan. I preserve them every way I can and needless to say enjoy them fresh for as long as possible. This cake is one of my favourite fresh fig bakes, not only because it gets ready in no time, but also for it's moist texture and great baked fig and vanilla flavour. It could be drizzled with mixed honey and lemon just before serving, but that is optional. Beat the butter and sugar (caster and icing) until pale and fluffy, then add eggs, one at the time. Whisk until fully combined, add all the dry ingredients, mix again and pour vanilla and lemon at the end. Transfer the batter to the greased tin, spread evenly and arrange the fig pieces on the top. Bake for 35 - 40 minutes ( you can check it after half an hour). 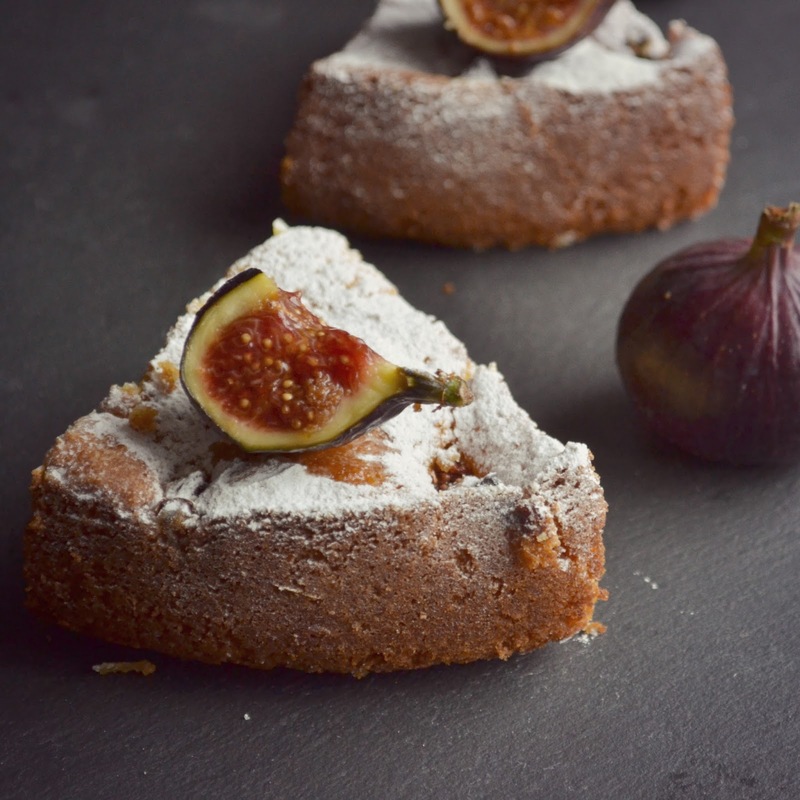 If the figs are ripe and soft, it may appear soggy, cover it and leave in the oven for a bit longer, but bear in mind that the cake is very moist. Leave to cool for 10 minutes then transfer to a rack until room temperature. 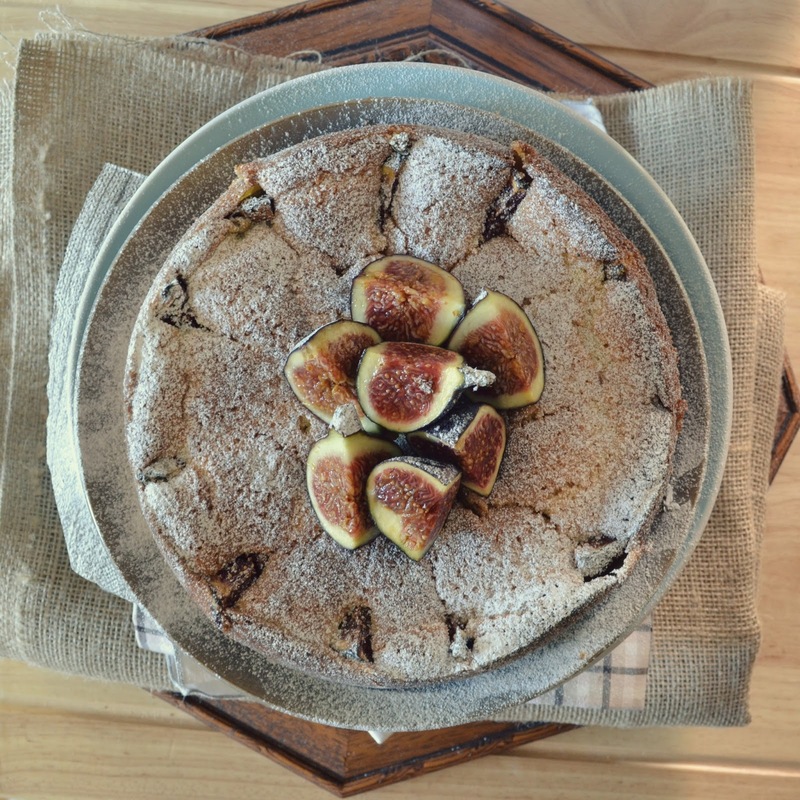 Put a few fresh figs on the top before serving, dust with icing sugar, or drizzle with honey.